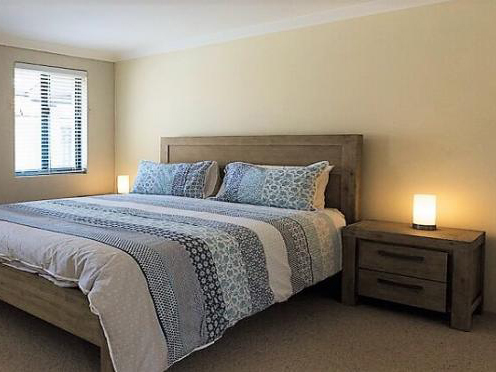 Come and enjoy Seabreeze, this lovely 3 bedroom 2 bathroom family home is literally just a 7 minutes stroll to one of the many restaurants or pubs located at Mindarie Marina. Come and enjoy Seabreeze, this lovely 3 bedroom 2 bathroom family home is literally just a 7 minutes stroll to one of the many restaurants or pubs located at Mindarie Marina. Claytons beach is within a 10 minute stroll and if you want to leave the car at home a bus stop which can take you to Clarkson Train Station is just a short 200 meters stroll from your accommodation. The property features master bedroom with queen bed and Ensuite. Bedroom two with double bed and bedroom three has two single beds. There is a family bathroom with shower and bath. The property also benefits from two TV lounges and a lovely alfresco area with an all weather pergola. Rates Winter $650.00 per week Spring $950.00 per week Summer $1000.00 per week The minimum stay condition for this property is 7 nights. Please note that the garage is not included.